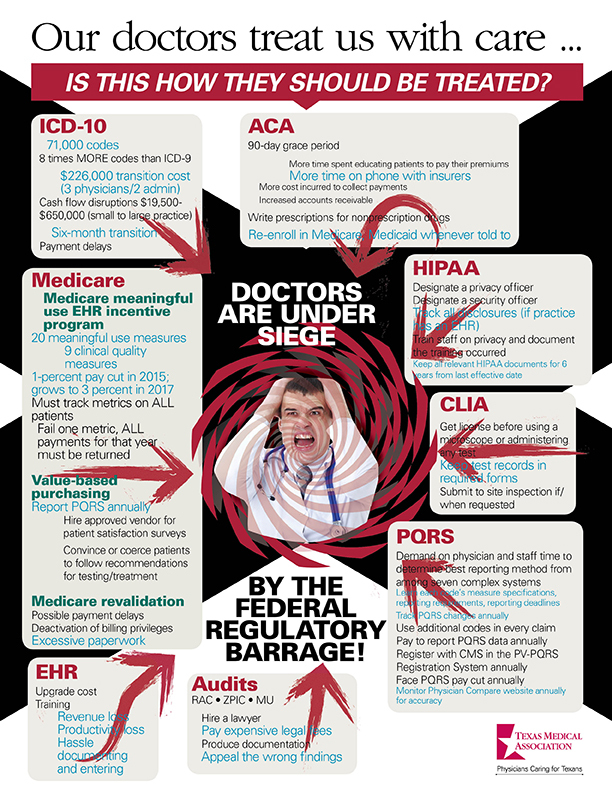 Our Facebook page is exploding with likes, shares, and comments on our new Doctors Are Under Siege by the Federal Regulatory Barrage flyer. It has garnered rave reviews from physicians around Texas and around the country for accurately portraying the weight of federal demands on a practice today. Please download it, print it out, and share it with your patients and friends in high places. TMA’s lobby team will distribute it on Capitol Hill next week.